The Wisconsin Holstein Association (WHA) is pleased to announce that Laura Wackershauser, formally Editor of the Wisconsin Holstein News, has been promoted to Executive Director. As Executive Director, Wackershauser will lead the Wisconsin Holstein Association staff, manage the association financials, assist in event planning and lead strategic vision for the association. Wackershauser will continue to oversee publication of the Wisconsin Holstein News. Wackershauser has extensive experience in the day-to-day operations of WHA and overall goals of the association during her 17 years employed by the association. As the Editor of the Wisconsin Holstein News, she was responsible for full production of the magazine including advertisement sales and design, magazine layout and production scheduling. In that role, she also served as lead editor for the Midwest Holsteins publications. In addition to her editor position, Wackershauser has also been WHA's resident photographer, capturing images from events and shows. She played a large role this summer coordinating efforts for district shows and managing the office. "I'm excited to continue serving the members of the Wisconsin Holstein Association and look forward to working with the team to position WHA for success," Wackershauser said. Wackershauser is a graduate of UW-Platteville with a degree in Agricultural Business and Animal Science with a dairy emphasis. 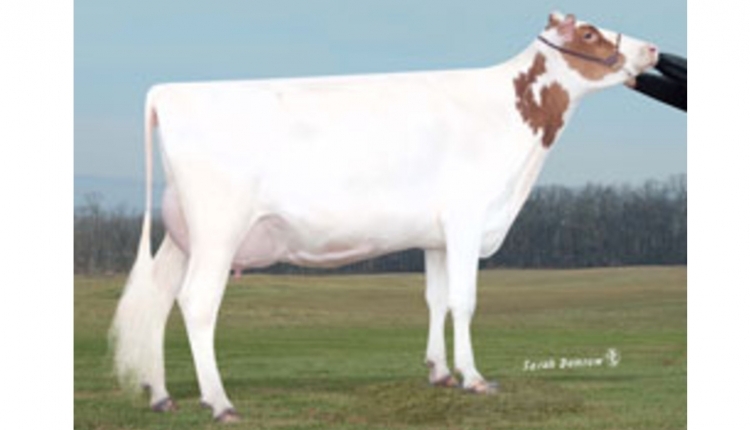 She grew up on a Registered Holstein farm near Lancaster, Wack-E-View Holsteins, and still owns a handful of cows and heifers that are now housed by other farmers. "Wisconsin Holstein has been fortunate to have had Laura doing great work for its members for many years. She continues to push herself and has proven more than capable to take on a new challenge as the Executive Director," said Craig Carncross, president of WHA. "Laura comes into her new role with many great ideas and strong sense of what needs to be done to lead WHA into the future."